You'll explore and learn at Melbourne Museum and National Gallery of Victoria. 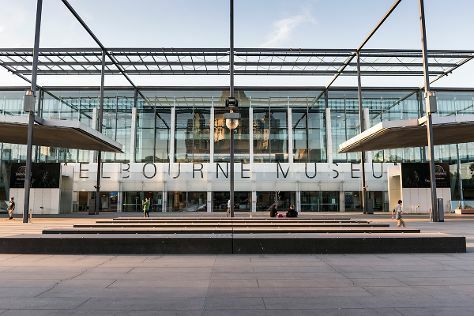 Satisfy your inner culture vulture at Melbourne Central and Immigration Museum. Step out of Melbourne with an excursion to The Great Ocean Road in Torquay--about 1h 40 min away. Spend the 1st (Sat) wandering through the wild on a nature and wildlife tour. There's still lots to do: kick back and relax at St. Kilda Beach, identify plant and animal life at Trin Warren Tam-boore, brush up on your military savvy at Shrine of Remembrance, and stop by Lightning Ridge Opal Mines. To find where to stay, maps, photos, and more tourist information, you can read our Melbourne trip builder site . If you are flying in from Malaysia, the closest major airport is Melbourne International Airport. In November, plan for daily highs up to 26°C, and evening lows to 11°C. You'll have a few hours on the 2nd (Sun) to wrap things up before traveling home.